The ST300 Strider from Sole Fitness is a hybrid workout machine that combines the functionalities of a stepper, elliptical machine, and treadmill. A versatile machine, the ST300 is designed to provide low-impact workouts that deliver maximum results. The ST300 comes with a standard backlit LCD display that shows workout data such as time, speed, distance, pulse, watts, and calories burned. There are 12 built-in programs, including several cardio-based ones, which you can choose using the ‘Quick Key’ buttons on the console. Warranty – Lifetime on frame, three years on electronics, three years on parts, and one year on labor. UPDATE: Sole has discontinued their ST300 and ST600 Striders. For a comparable elliptical check out the NordicTrack FreeStride Trainer FS7i. It's one of the top selling trainers on the market, and has a lot more features and capabilities than the ST300. 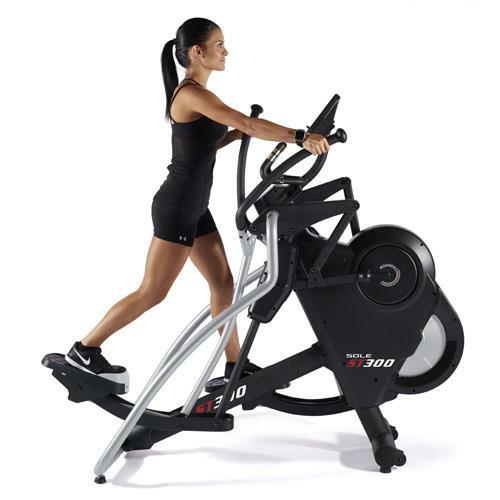 The reviews for the ST300 Strider are fairly positive, which is not surprising as Sole Fitness is known for making quality fitness equipment and their products have always been well received by critics as well as customers. The USP of the ST300 Strider is the generous 18” – 26” stride length. 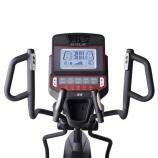 It allows you to use the machine as a stepper, elliptical, or a treadmill, depending on your choice. Set at its shortest stride length, the machine can be used as a stepper to target the muscles in your thighs and calves. Set at its longest stride length, it can be used as a treadmill. You can walk, jog, or run to work the muscles in your glutes and hamstrings. At any other stride length, it can be used as a regular elliptical. The adjustable stride length also makes it easier for multiple people to use the machine, as each one can adjust the length to match their natural stride and work out comfortably. The console allows you to create and save multiple user profiles. So, the machine is a perfect choice for households with multiple people. The Sole ST300 Strider is easy on your joints, which is yet another area where it scores over the stepper and the treadmill. The up and down motion of the stepper can be jarring on your joints. Similarly, running on the treadmill can be difficult for people with knee problems. With a strider, you have a low-impact alternative to both of these machines, which is ideal for older people as well as people with back and knee issues. The ST300 has movable, multi-point handlebars to work the muscles in your upper body. By grabbing the handlebars while working out, you can not only burn more calories, but also challenge the muscles in your shoulders, arms, back, and core, which allows you to reap the benefits of a total body workout. The handlebars are fitted with grip sensors to measure your heart rate during workouts. The machine has a built-in wireless heart rate receiver. So, if you have a chest strap, you can use it as well. The ST300 comes loaded with 12 workout programs. There are 16 resistance levels to make your workouts more challenging. The Eddy Current Brake system ensures the transition between resistance levels is fast, silent, and efficient. The machine weighs close to 250 lbs and is pretty solidly built. It remains stable and sturdy even during high-speed, high-intensity workouts. It comes with a pair of transport wheels for easy mobility. The common complaint against the ST300 Strider is that the stride length needs to be adjusted manually. People who are used to working out on machines with power-adjustable stride might find it a tad difficult to use the machine. If you are one, you can go for the ST600 Strider, which features power adjustable stride. Also, the machine does not have additional features like Bluetooth compatibility, music system, workout fan, and touchscreen display. The lack of Bluetooth capability is particularly disappointing, as many other machines at this price point have the feature. 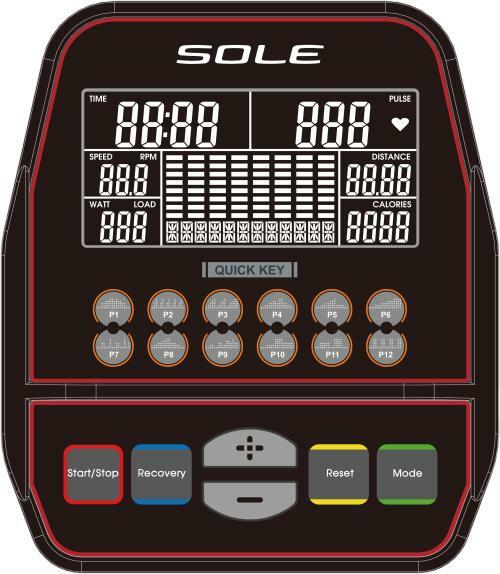 The newer elliptical models from Sole Fitness, however, have built-in Bluetooth technology. So, we may see Bluetooth compatible striders from the company in the future. The ST300 Strider is a quality product from Sole Fitness. It is a three-in-one machine, which does the job of a stepper, elliptical, and treadmill, and offers great value for your money. It is a total body workout machine, which can help you lose weight and strengthen and tone your muscles. The lack of power adjustable stride might be a concern for some of you, in which case you can opt for the upgraded version – Sole ST600 Strider. The lack of Bluetooth compatibility is also an issue, which we hope will be resolved soon. Other than that, the machine is really good and a great choice for your home gym. Sole ellipticals are on sale right now!